Today was already the last day of the Sitecore symposium, and we are sorry to see it end. But we did have some truly inspirational moments and shared thoughts with peers in the past three days. Like every morning, today opened with a keynote. 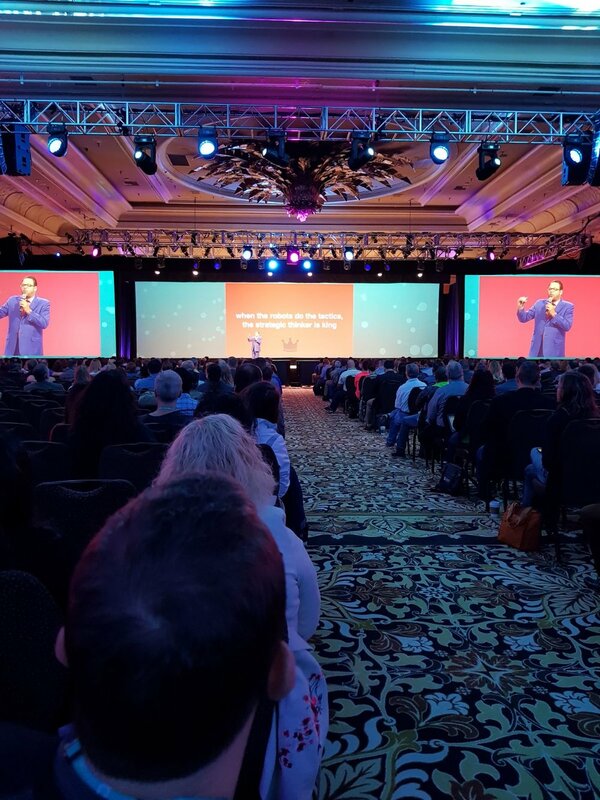 It was Jay Baer on stage today, a Customer & Marketing Speaker who has worked with many brands and companies to set up their experience marketing strategy and become a loved brand that customers talk about. “I found his keynote to be very spot on what building experiences mean,” Max and Jeroen say. Then it was time for the last rounds of breakout sessions. For Renate, this meant a master class on generating business value using Context Marketing. This master class was split into two parts: the first part was all about accelerating Context Marketing initiatives. The second part was all about how Sitecore customers have brought this into practice. “It's always cool to see how context marketing works and see possibilities to set-up Context Marketing, because this gives me new insights and ideas and also let me think about how I can bring this into practice with our clients and their customers,” Renate explains. 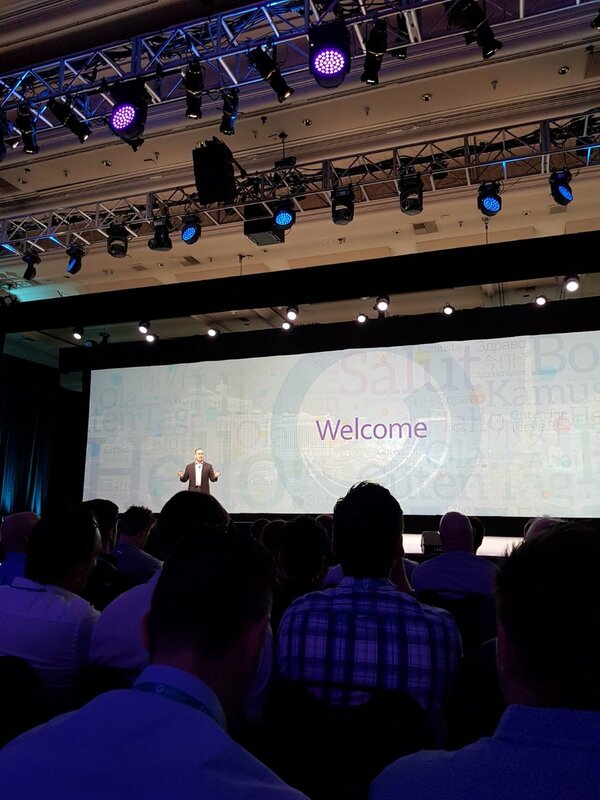 “After this session, I joined the closing keynote from Ryan Donovan, SVP of Product Management at Sitecore. 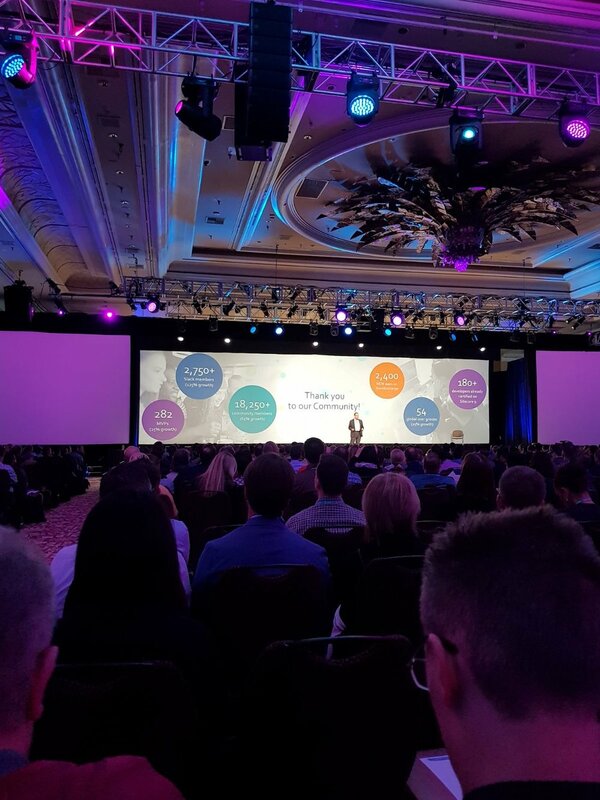 He gave a peek into Sitecore’s future roadmap regarding digital marketing, and how the technology supports this.” Although it's still work in progress, I become very enthusiastic about plans they have to upgrade even further the possibilities of doing Context Marketing and listening to your customer all within one system. Looking back on the 2.5-day symposium and all the inspirational keynotes, breakout sessions, talks with peers and Sitecore’s roadmap, we found a lot of great information to take back to the Netherlands. Jeroen starts us off with his impressions: “For me, it was great to join and get to learn the Sitecore community and learn all about Sitecore commerce. I am looking forward to learn and get to know the even more peers from the Sitecore community”. As for Renate, the key takeaways she wants to note are “we really need to think differently about content creation, start investing in analysing your data in your team or invest in a business analyst and provide a digital training program on all company levels which lead to understanding and career growth paths". Hope you enjoyed our input during the symposium days. If you want to learn more about us, please stay tuned. New blogs will follow soon. And if you want to get to know us better, please get in touch. We are looking forward to driving your digital destiny and bringing technology, marketing & sales together to build relevant and personal experiences for your customers. Day 2 of the Sitecore symposium 2017 started with a keynote from Kirsten Newbold-Knipp, who is Research Director at Gartner. After a morning full of interesting sessions, Renate found Jeroen and Max at lunch, where they discussed the sessions and key learnings they took away from them. “Today, I started with a session from the Strategy track, hosted by Charlotte Ziems VP Communication & Marketing at Sitecore,” says Renate. Together with BBDO, Microsoft, and ComBlu, Charlotte gave a session on how to plan and create content for personalisation. My key takeaway was that it's all about "learning by doing" and start small to learn from your data. It's the similar approach we took at the Nutricia BLX platform. In the afternoon the three of us went to the session "What does the latest version of Sitecore eCommerce mean to you”, on how you can make use of your content in the commerce environment. Which is very interesting to make the online buyer journey more relevant for your customers and start building a bridge between online and offline buying. And I closed the day with Global Commerce: A global perspective and the closing keynote from Mark Hamill, better known as the legendary Luke Skywalker from ‘Star Wars’ and the voice of the Joker from ‘Batman’. Mark did a fireside chat with Scott Anderson. Where they answered questions from the audience. And that made an end to day 2! Based on all we have heard, seen and talked about with peers, we are certain that our digital destiny to "drive digital transformation and business maturity to create, optimise and innovate authentic digital customer experiences and marketing technology" is the right way to go and grow! Want to drive your digital destiny with us or get to know us better? Read our blogs or send us a message. And we’re off! Today was the first day of the Sitecore Symposium 2017: ‘Drive your digital destiny’. Before we travelled, our team discussed what ‘digital destiny’ could mean for OnModus. “For me, my digital destiny is to enable technology and marketing to create a valuable context for our clients,” says Max. Renate added her thoughts. “For me, it is about marketers and brand teams embracing technology. So they can become more personal and relevant for their customers and start building a loyal relationship. For a lot of marketers and brands, this becomes their digital destiny,” she says. So overall, it's a broad topic with a lot of touch points with different stakeholders. During the next three days, we will keep you posted on what the team experienced, what new tools are available, which learnings and insights we gained and will take home to drive our customers’ digital destinies. Opening The first day started with an opening keynote from Mark Frost, the new CEO of Sitecore. Mark offered his vision on what Digital Transformation means in an inspirational speech. Next up was Kenneth Cukier from The Economist, where he is Senior Editor Data & Digital. In addition, he is also a co-author of several bestsellers about Data. He talked us through the way how AI is going to change marketing. Back in the days, the computer knew what to do when a person told what to do. Now it's the other way around. The person gives in several options and the computer recommends which option is the best, according to an algorithm. 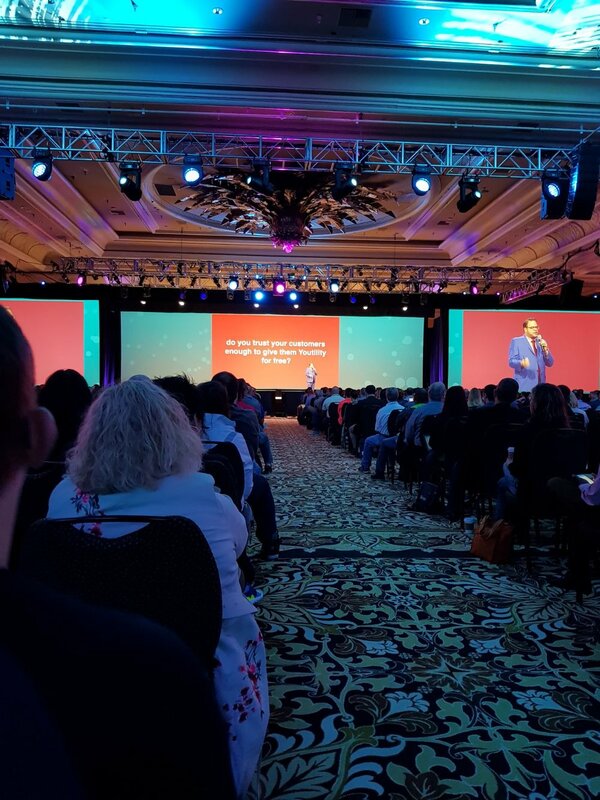 “For me, the key takeaways from Mark Frost’s keynote was the focus on Innovation, Quality and Customer Delight,” says Renate. It means to deepen and intensify the direct relationship with your customer. This is the only way to drive loyalty. 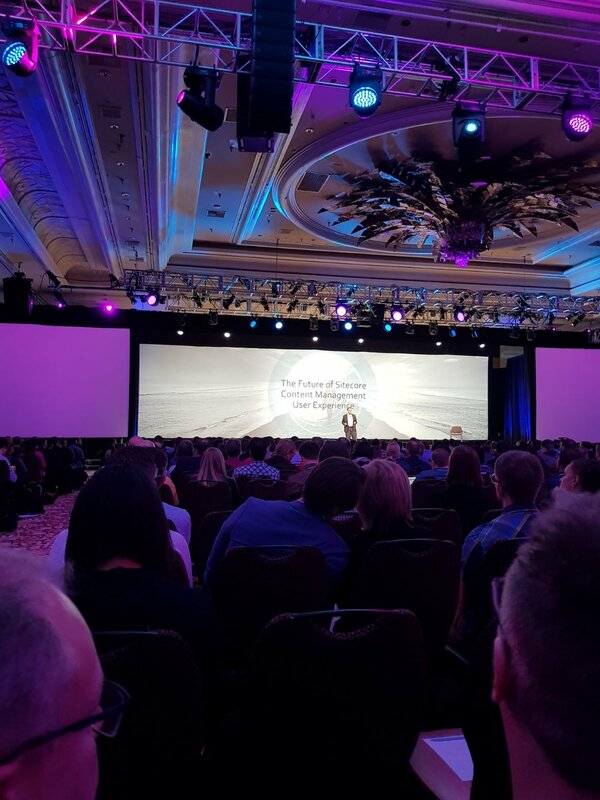 After these two keynotes, it was time for the ‘Track sessions’ keynotes, which kicked off the breakout sessions in which customers, partners, and Sitecore exchange knowledge. The sessions are divided into three tracks: Developer, Marketing and Strategy, so based on your interest, you can pick and choose where to get your insights. The day ended with a keynote from Mark Zablan, Chief Revenue Officer at Sitecore. Mark also hosted a panel of trend marketers from global digital agencies. They had all made the move towards digital disruption to help their customers build customer experiences that deliver their growth ambition. 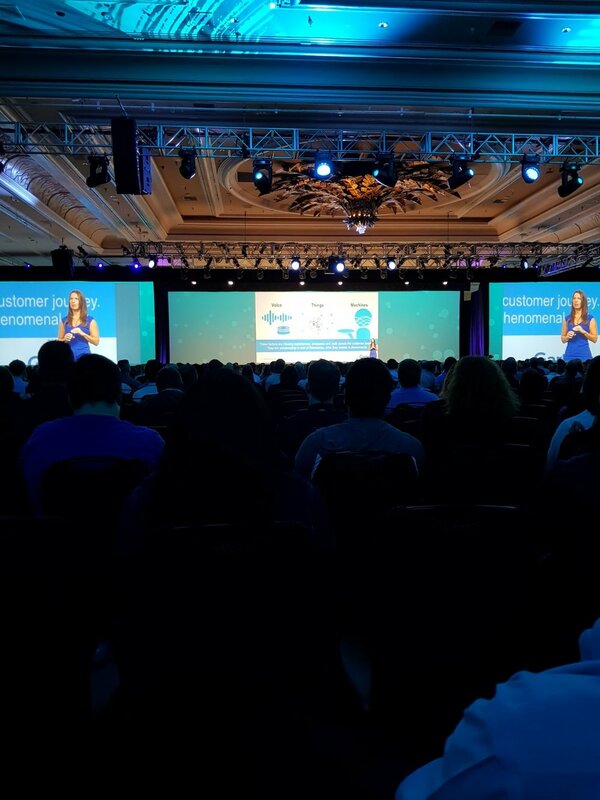 So looking back on day 1, we followed some interesting sessions, had great talks with peers and received a lot of new insights and ideas that enable us to create an even more valuable context for our customers by combining marketing and technology. We are looking forward to day 2! Every four months we allow ourselves to visit a place outside of our normal working territory where we improve our strategy. The goal: to reinvent ourselves an improved version, based on the learnings and experiences we had the months before. With these new insights we can continuously help our clients in becoming even more succesful in the digital world. This time we visited the beautiful nature area of Willingen, Sauerland in Germany. The conditions for the area are pretty clear. It has to offer a relaxed atmosphere, beautiful surroundings and of course some great biking trails. OnModus believes that the combination of these three ingredients are the best way to have new ideas. New ideas which can be transformed to key strategy points which contribute to the business model in the digital world of our clients. "Biking with colleagues and friends brings out the best of us", says Max Goijarts, CEO of OnModus. "Bringing in a sportive element changes the dynamics of a team. Achieving succes together enforces the teamfeeling and subsequently opens up new creative ideas. We then sit down and have active sessions where we challenge our new ideas. Last but not least we celebrate the accomplishment at the end of the day with some good German food and beers. It is all about finding the ultimate balance. That is where OnModus stands for". OnModus drives digital transformation and business maturity to create, optimise and innovate authentic digital customer experiences and marketing technology. We are looking forward to welcome new members to the team who will start in August and September and continue the sessions. "It might even be that we invite customers and our partners to have an even more intensive weekend", says Jeroen van Mierle, Omnichannel Partner at OnModus. "I now have experienced that riding a bike through rough conditions is the perfect way to create the ultimate team dynamics. Each member feels part of the group. After all like in business, it is all about creating long lasting partnerships and finding win-win situations. Helping each other out. Especially when the road becomes tougher".